We are in Bothell - about 20 miles from downtown Seattle! Doodles are affectionate, gentle dogs that get along with everyone – even cats! 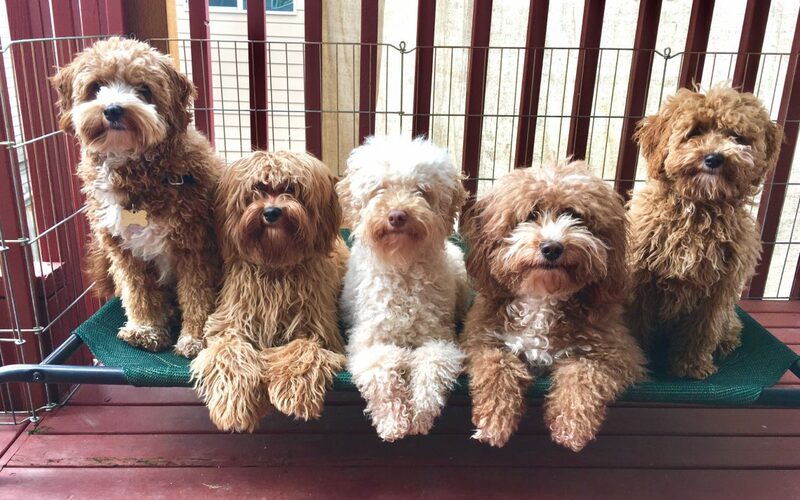 Having been bred towards low shedding and allergy friendliness, they make the perfect addition to many households. More FAQs See Our Puppies! 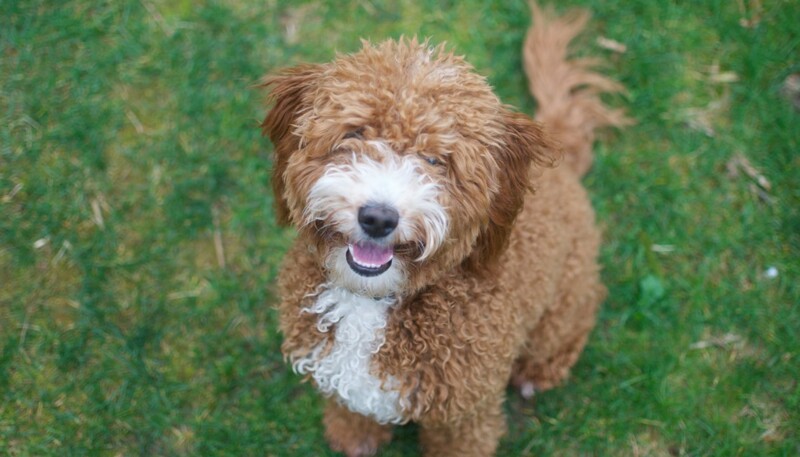 Curly coated goldendoodles, like our Beyonce here, are considered to be the most non-shedding. Puppies who begin training from a young age go home happy and ready to learn. At Pups By Taylor, we begin working with our puppies at three days old, beginning with bio sensory training. We start basic crate, leash, and potty training. Well it is now official – Beyonce was spayed on Friday so she will not have any more puppies. 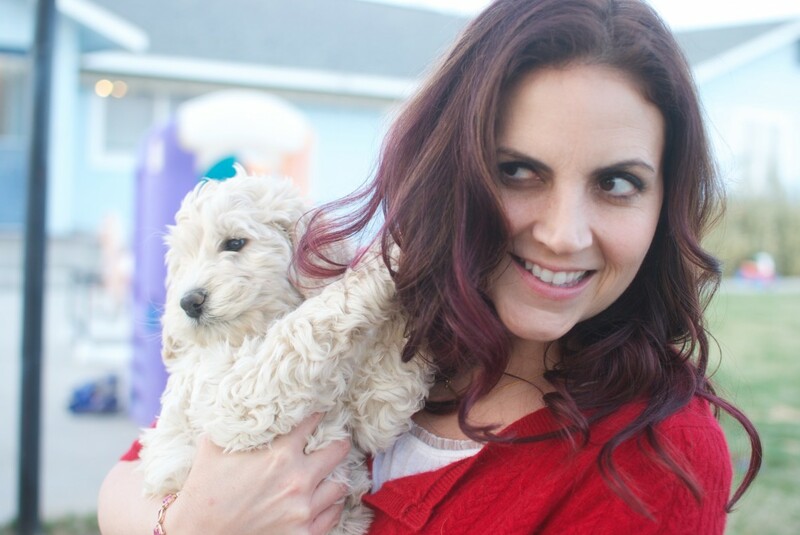 I wrote a previous post about my experience going to the Animal Hospital of Newport Hills and I’ve got to say again – expensive, yes but WORTH IT! What EXACTLY Does “Health Tested” Mean?! If you have spent any time looking for a dog you have probably seen the term “health tested” but this doesn’t mean the same thing to everyone so I wanted to post about what it means to me. When we first got Shakira our breeder Thom, who is a very nice man that I’m still friends with to this day, equated health testing to regular vet check ups with no health issues between visits. 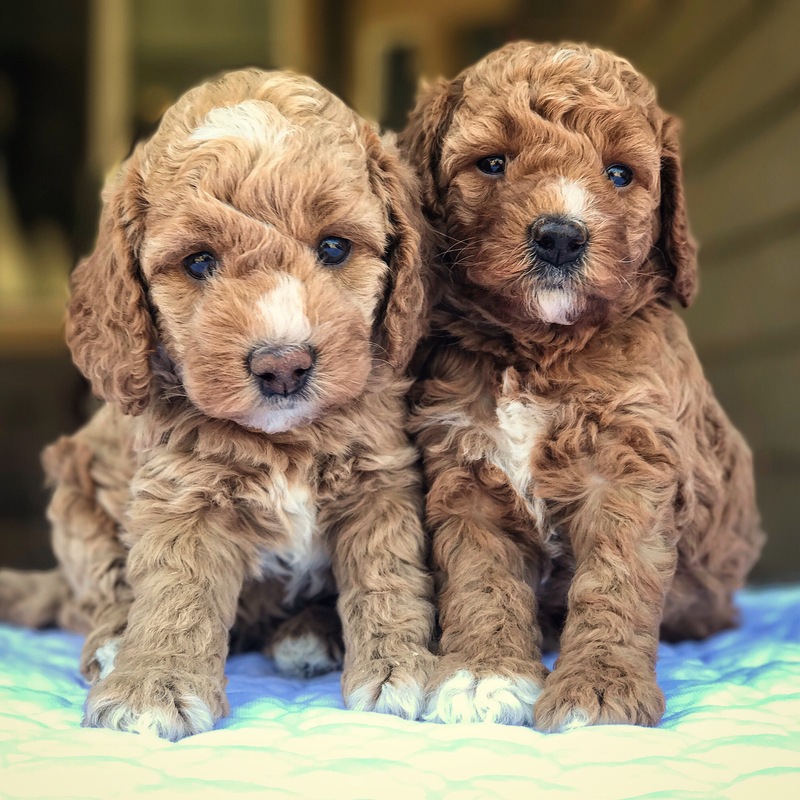 Thom had standard size labradoodles as well as minis so he was aware of the retrievers issues with hip dysplasia however he explained that he didn’t feel that it was needed in a small dog because they weighed less and were generally less active. At the time this made sense to my husband and I but only because we just didn’t educate ourselves to know any better and we desperately wanted this adorable puppy. NOTE: PUPPIES ARE ADORABLE. DO NOT LOSE YOUR MIND! When I first started out in 2014 someone commented that I posted too many pictures on Facebook. When I purchased my dogs I hated that I never got ENOUGH pics so that comment really surprised me but I figured if one person felt that way then there are others that agree. I was telling my husband Andru about this and he suggested creating iCloud shared albums. If you don’t know about this feature I’m about to change your world! This is from JLo and Koa’s last litter. By the time they went home I had shared over ONE THOUSAND pictures with those 6 families! I know that had to feel amazing because I’m currently waiting on a new puppy and she was 8 weeks old yesterday and I have received maybe 15 picture maximum. 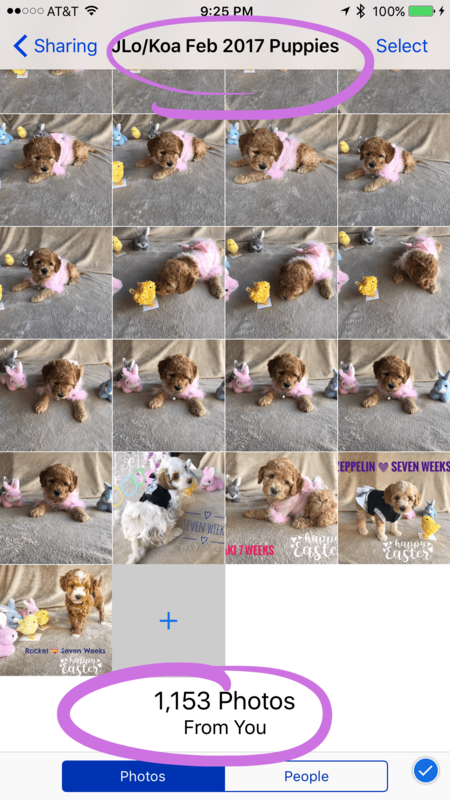 This album is from JLo and Koa’s current litter and they will be 7 weeks old in just 2 days so I’ll be adding to the album and beating the number of pics from our last litter of 6 and this is only 4 puppies!! These albums are in addition to the daily snaps I add on Snapchat (also saved on YouTube) and the puppy cam going 24/7. I really want families to be able to see their puppies as they grow and have those memories forever. 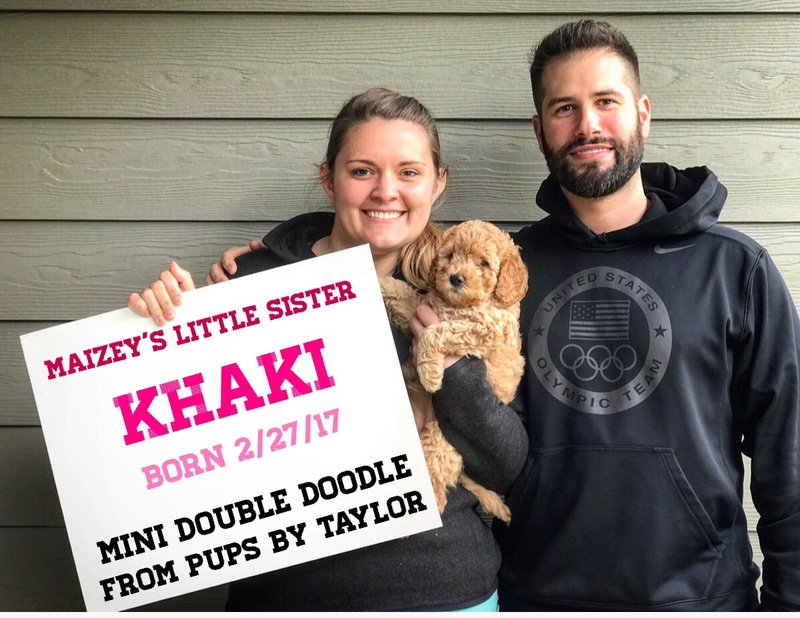 I think this is just one example of the extra things that I do for my families that is above what other breeders are doing and I love being able to provide so many memories for my new families. I bet you can find a use for shared albums too. I’ve also used these when on vacation with a friend so we can both add our pictures to the same album, also spending a few hours at the lavender festival ended up with hundreds of beautiful pictures. 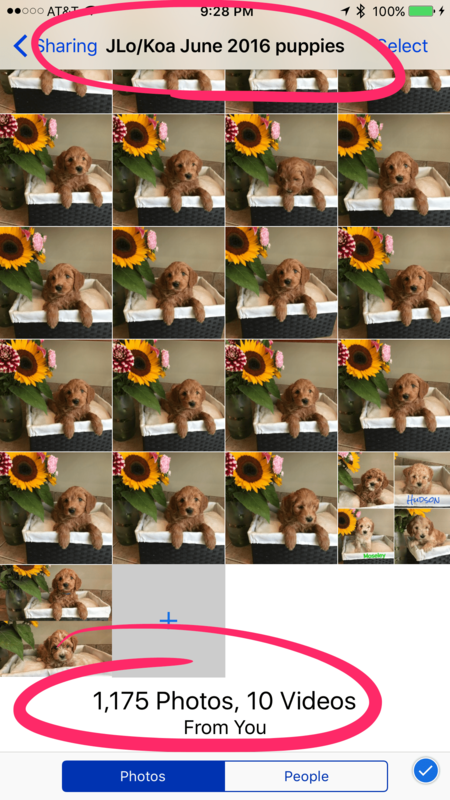 Andru and I have used it many times for different dog picks (for example Easter shots or we’ve done Christmas, Hanukkah) and we also have a shared folder for pics of his son. If you don’t know how to use it give it a quick google.